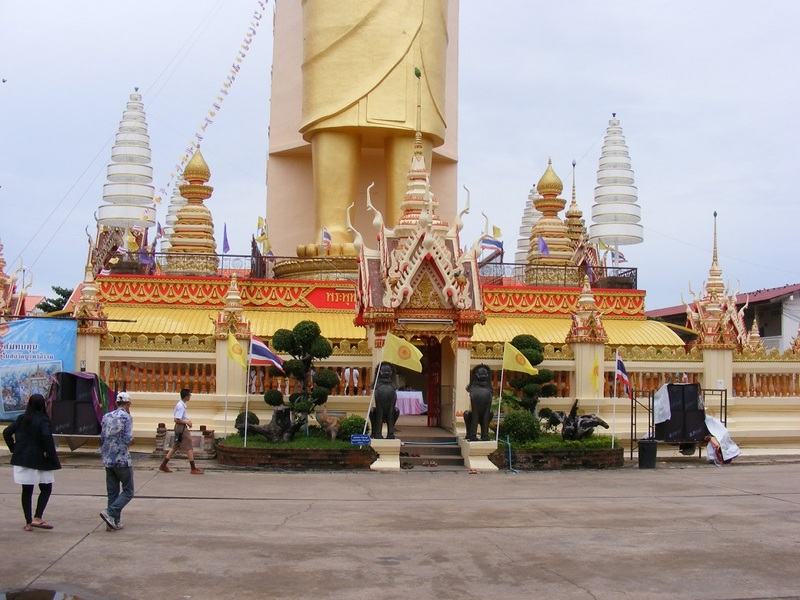 Travelling a little further afield to the city of Roi Et, you will find the impressive Wat Burapapiram. 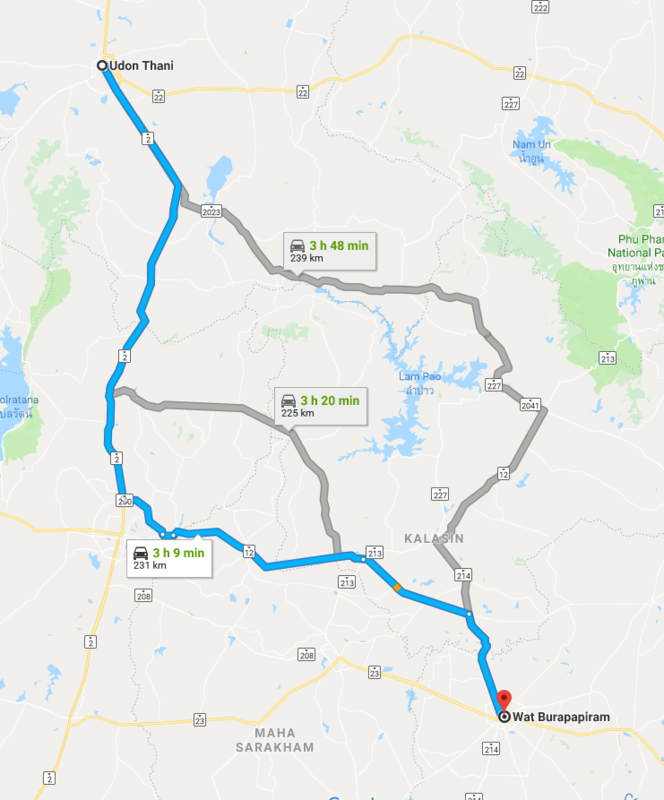 Roi Et is located on route 23 between Khon Kaen and Ubon Ratchathani and can be reached by car in about 3 - 3.5 hours. 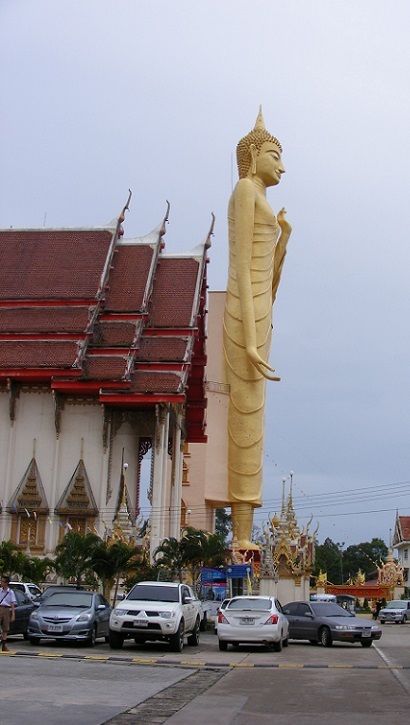 Wat Burapapiram is most notable for the 60m high gold leaf covered, re-enforced concrete Buddha statue that rises above a museum building, and it is a very impressive sight. 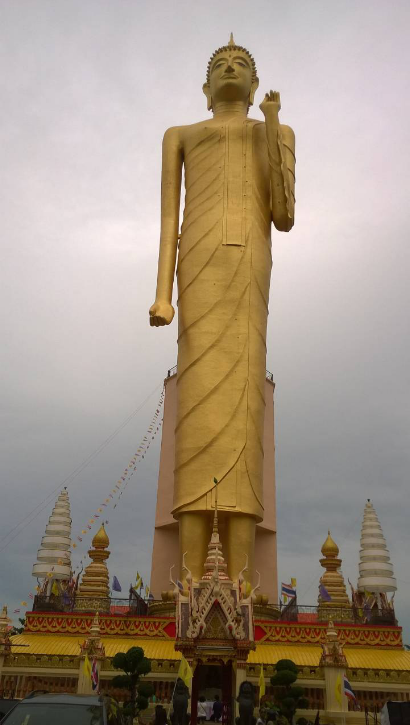 It is also the highest Buddha in Thailand, even without the 8m high plinth on which it sits. 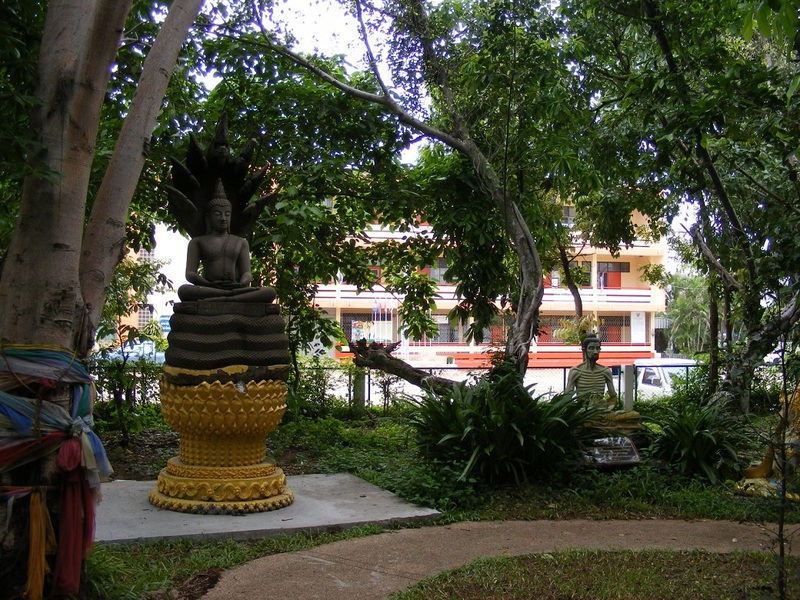 This Buddha known as Phra Phuttha Rattanamongkhon Mahamuni or Luangpho Yai. The surrounding grounds have a number of other important Buddhist statues, a large Buddhist Gong, among the collection. The inside of the museum is not really anything out of the ordinary, but the exterior is nicely decorated. Our visit was on a day known as a 'Big Buddha Day', a day when all government offices and schools are closed, so was very busy. 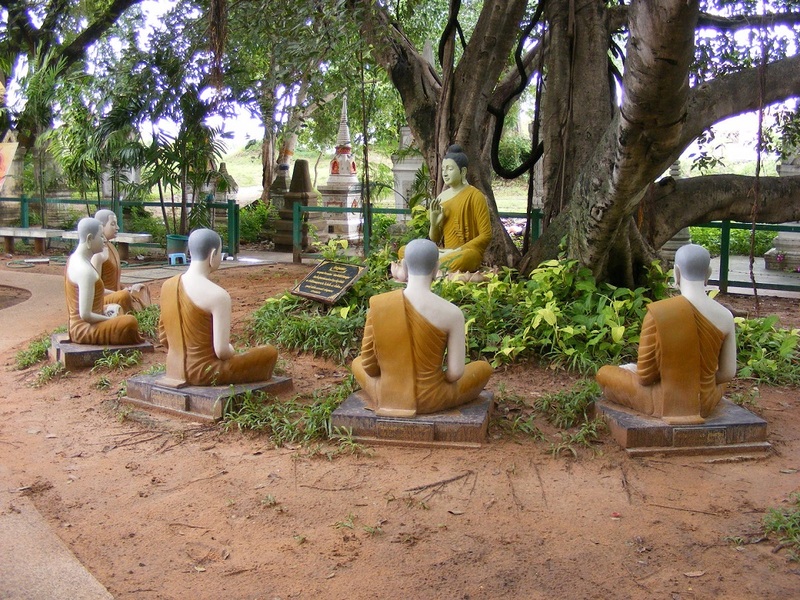 I can imagine this would be a great place to visit on a more normal day, when it would be far quieter without all the Thai chat around. The temple, which was once known as Wat Hua Ro is adjacent to the city moat where worshipers buy and introduce small fish for good luck. 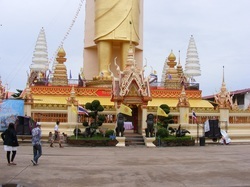 Roi Et is quite a nice city and is very different to Udon Thani in the respect of it's design. There are very few tall buildings here, and the streets are wide, giving a far less claustrophobic feel about the city. The actual shops are no different though and all the main places of interest are religious grounds.